How Taxes Can Affect Your Divorce. A headline that includes both “taxes” and “divorce” is naturally going to be a slightly depressing topic. At least you can appreciate the fact that living in Florida allows you to escape state income taxes that many Americans have to pay each year. 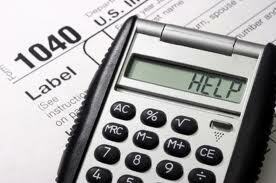 Nevertheless, tax season is still a daunting time. For those going through divorce, however, filing taxes is often more complicated than simply filling out some forms using commercial software. The main issue for many couples who are still technically married but soon to divorce is whether they should file joint taxes. Even if the couple is now divorced, their marital status on December 31 of the tax year is the date on which the federal government defines your status for tax purposes. So, if you were married on December 31 and divorced later in January, you may still be able to file jointly with your former spouse. Many couples in this bracket avoid filing jointly simply because their relationship has soured. This may be a mistake: there are many tax benefits in marriage, and some of those benefits go away if you file a separate return. For example, if you or your former spouse are enrolled in higher education, you likely qualify on your joint return for an education tax credit. This credit is worth $2,500. That’s $2,500 you might not qualify for if you don’t file jointly. Further, this credit also applies for joint filers who have dependent children enrolled in higher education. Again, spouses filing separately will not be able to claim this credit. Finally, student loan interest is also deductible on these payments – if you are filing as a joint filer. There are other tax consequences for couples with once the divorce becomes final. A qualified Jacksonville Beach Family Law Attorney can help explain these. Moreover, there are other deductions you may miss out on, even if you do not have any education expenses or children. Couples filing separately likely will not be able to deduct expenses for certain losses on rental property, for example. These are just a few of the concerns you should consider when filing divorce and filing taxes. Both of these topics are daunting and it can be tempting to simply put it on the back burner, so to speak, but you should know that help is available. If you live in Duval, Clay, Nassau, or St. Johns county , contact a Jacksonville Beach Family Law Attorney. An attorney can help you through the divorce process and help explain the various issues that may arise. Offices in Jacksonville and Jacksonville Beach, Florida.